John Frank Akromis, age 74, died Saturday, April 6, 2019. He was born January 27, 1945 in Omaha, NE to Frank Edward and Annie (Pilus) Akromis. John grew up in the Omaha area, joined the US Army right out of high school and served during the Korean War. He later served in the National Guard. John was a truck driver by trade primarily working for Holmes Freight Lines as a driver and in management. He loved to fish and build model ships. 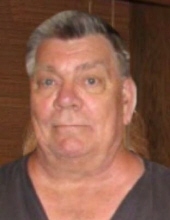 He was preceded in death by his parents, sister; Mary Ann “Sissy” Cooley, brother in law; John Wolfe, uncle; Edward “Goose” Akromis and cousins; Robert “Bob” Akromis and Jane Ann Akromis. John is survived by his son; Erik and wife Misty, daughter; Carol Jones and husband Chris, five grandchildren; Dakota, Trevor, Kailee, Christopher Jr. and Connor, as well as one sister; Elaine Wolfe. Private family services. To send flowers or a remembrance gift to the family of John Frank Akromis, please visit our Tribute Store. "Email Address" would like to share the life celebration of John Frank Akromis. Click on the "link" to go to share a favorite memory or leave a condolence message for the family.